Hey... I just wanted to do an update on my hair and give a review on the Aphogee Products. As I mentioned I brought only 3 items : Damage shampoo, 2 min Re-constructor, and the Balancing Moisturizer. Below is a picture of my hair right before using the products. And this is my hair now. and my pony pail is so thick now too. 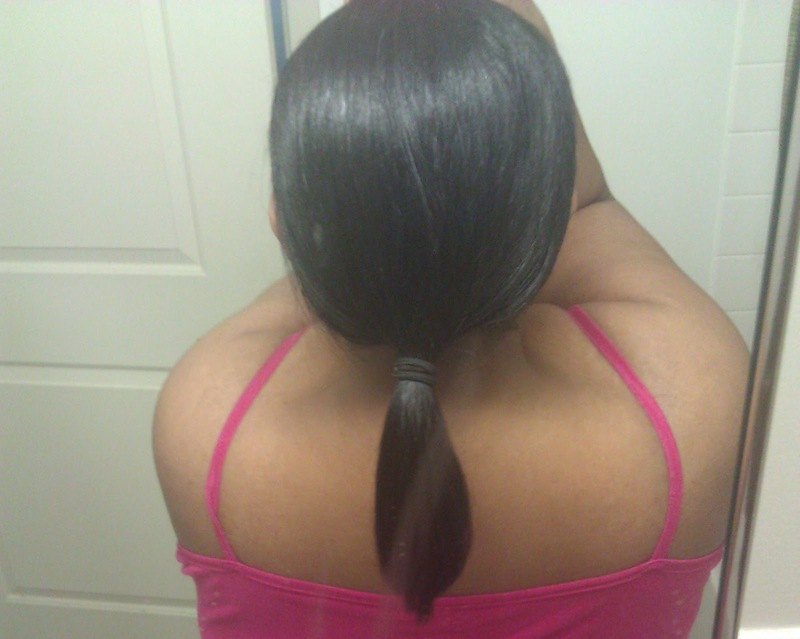 About 2 weeks after the first picture was taken, I had plans on getting a relaxer. So I wanted to prepare my hair by making it stronger. 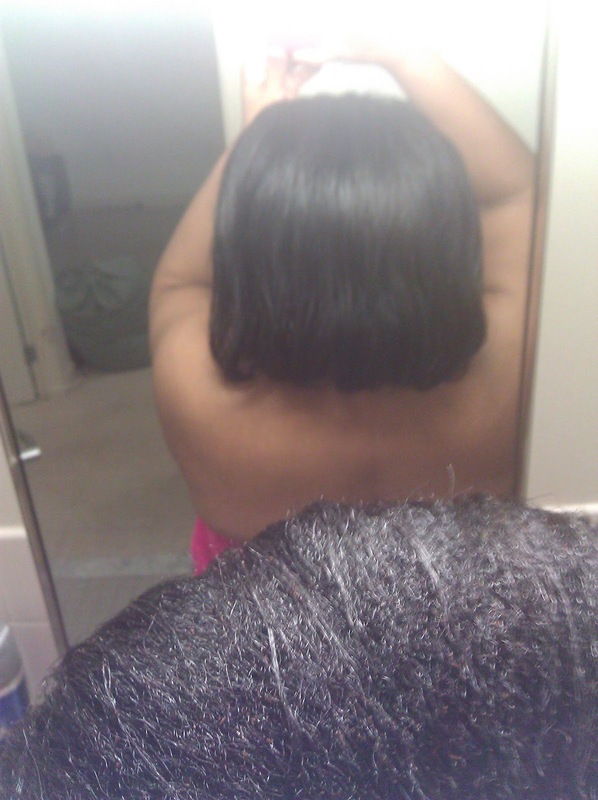 washed hair with the damage shampoo first, then the 2min re constructor, then use the moisturizing balancer. On the 3rd week and the day of my relaxer, after the stylist applied relaxer and washed hair with neutralizer, I had her wash my hair with damage shampoo and she put in the 2min re constructor... then placed me in the steam dryer for about 5min. Normally after I have a relaxer put in... my hair still sheds badly. Instead of being coarse hair, straight hairs would fall out instead. But as of now everything is going good. My hair feels healthier and my ends are thicker. 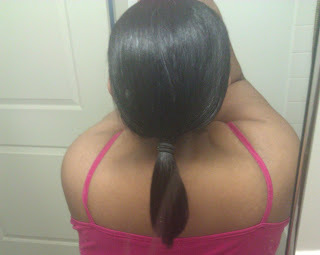 My hair also has body to it, where as before after a relaxer my hair would stringy and limp. I would say I'm pretty happy with the results so far. What I plan to do in the future is every 2 weeks I will wash and style my hair at home to maintain the strength and protein. If there is anyone out there that has dry and shedding hair, I would defiantly recommend Aphogee products to rebuild the texture and strength of your hair. The products can be found at beauty salons or online for on average around $4 to $20 depending on the size u get. To me that's a good price considering I used to pay $40 bucks for Carols Daughter products. The White bottles are used to rebuild your hair and the Pink and Clear bottles are used for maintenance AFTER your hair is healthy again.